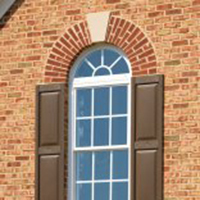 So what do you think about our 12″ “Jack Arch” & keystones (w/ brick elevations)? 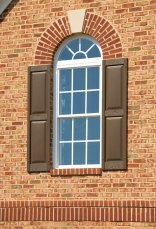 July 26 – If you’re like most of our homebuyers you don’t give this exterior detail a second thought until you see it and decide for yourself it enhances and distinguishes our northern Virginia homes from the competition. When we point out our stair treads are wider, you might yawn until you actually climb the stairs, with less huffing and puffing. The same has to be true of our 5-1/4″ baseboards with “og” detail (exciting stuff, huh?). And, what’s the deal about sills with aprons on our windows? What’s an apron, for that matter? Ok, you get the point. Whether you go on our web site, CarrHomes.com, and read about our 22 signature differences, or one of our sales associates tells you about them (and they’d better) you’ve got to see them to appreciate them. Those 22 differences are a big part of the value built into CarrHomes. And they are an even bigger reason that what you see in a CarrHome is not what you get in other builders’ homes in Hamilton, Ashburn, Herndon or Tysons Corner. Come see. We’ll open your eyes to some beautiful things.